Transitionally styled for your home is the Garcia Collection. Created for versatile placement within a number of environments the cool gray finish over birch veneer combine to provide a clean palate for your personal decorative style. Nickel knob hardware provides subtle, yet distinct, contrast to the fronts of each case piece. The available desk is a functional addition to the collection with keyboard tray and drawer storage. 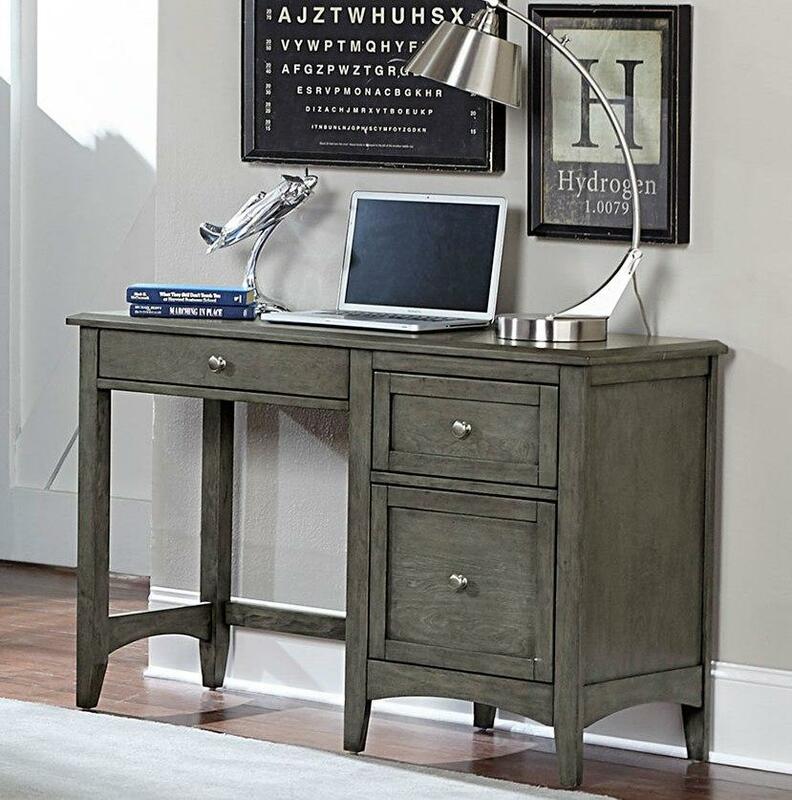 FEATURES: Gray Finish ~ Transitional Style ~ Keyboard Tray ~ Two Drawer Storage ~ Dovetailed Drawers ~ Center Metal Glide ~ Nickel Knob Hardware.